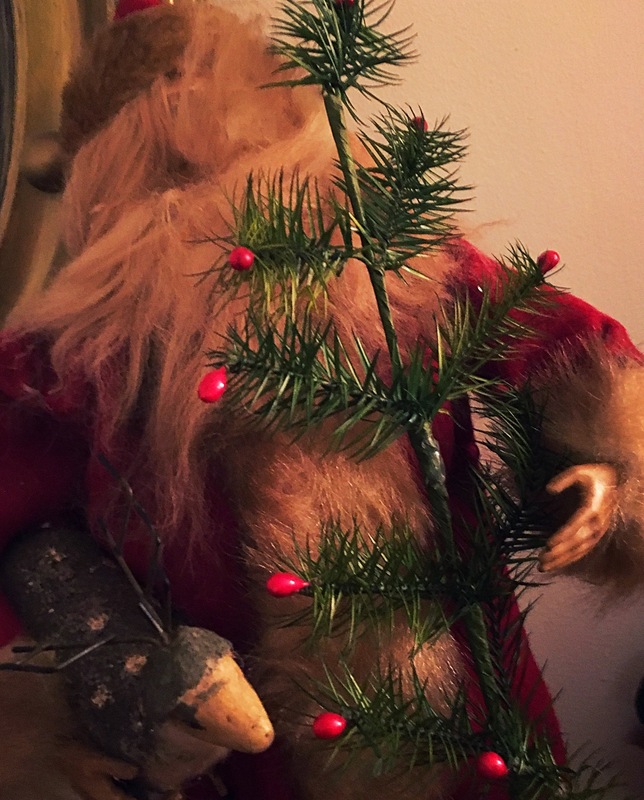 By now most of my readers probably know about a story I have been following since Christmas. 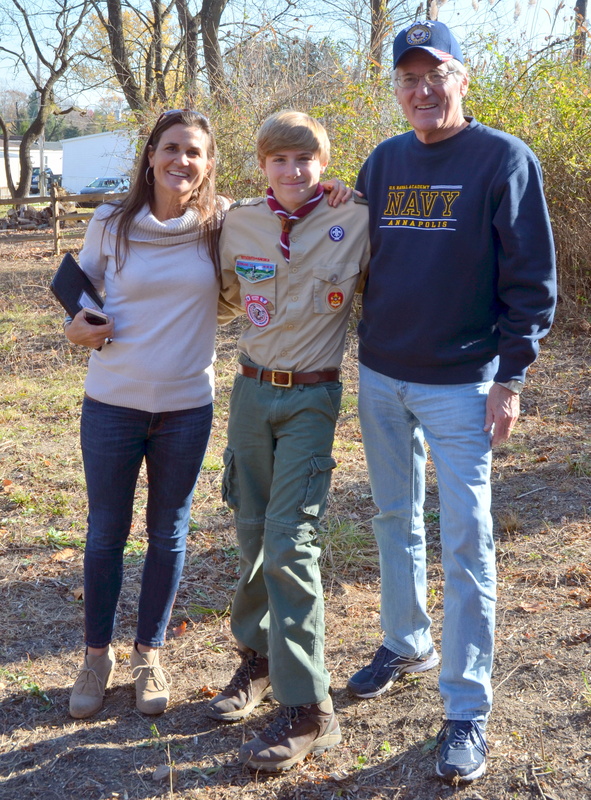 It is the story of the mom and two sons who live next-door to the Wawa in Frazer. 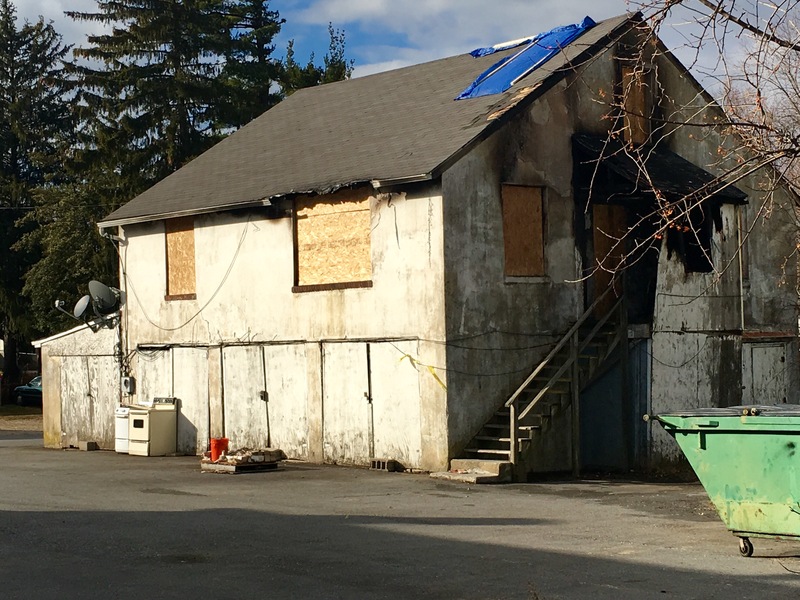 While there were at church for Christmas, their apartment burned. NBC10 Philadelphia and reporter Deanna Durante covered it yesterday (CLICK HERE) and the Daily Local has covered it and I am told other media outlets are in the process of covering this story as well. If you live in the Malvern area it was the second such fire in a little more than 24 hours. But where this fire was different is that most people do not realize people live back there where the fire occurred. 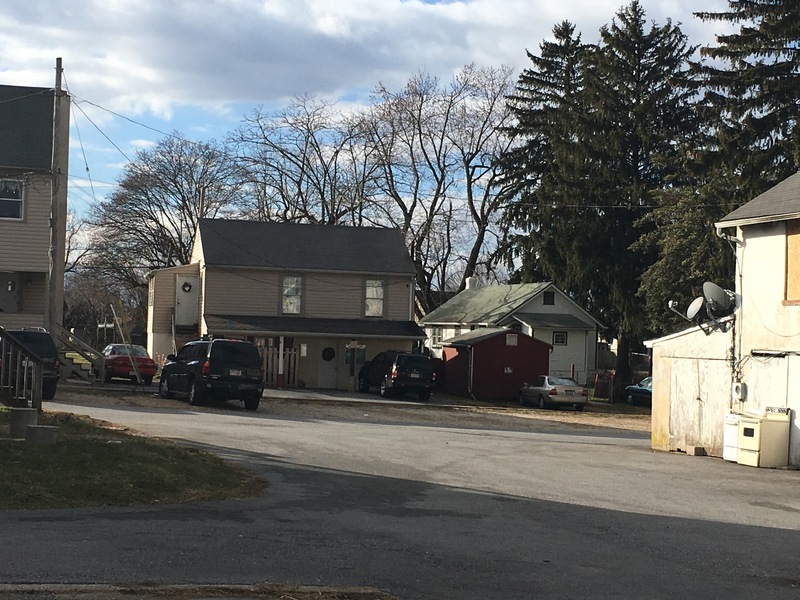 In East Whiteland along Lancaster Avevue starting on just the other side of the Wawa at the corner on Planebrook, and stretching up a piece on Lancaster Avenue there are a combination of small houses and apartments above commercial structures and so on. I mean no disrespect to the people who call these places home, but they are rentals and a lot of these landlords for years should have probably been taking a good hard look at the rough shape some of their rental properties were in and not just collected the rent. But for the grace of God go all of us when it comes to house fires. The Rodriguez family could have all perished had they been home and not at church worshiping for Christmas. I am told their landlord owns other structures right around there. I am not making any disparaging comments about said landlord because I have no personal experience with them. What I will say is I hope he does right by this family and I hope he takes a look at everything else he owns to make sure something like this won’t happen again. But it was sad for me to watch contretemps occur on a page on Facebook where people we’re arguing over which family who lost their home at Christmas was the most important. The simple answer is each family in Chester county that lost their home to fire a Christmas is important. But the not so simple answer and one that most don’t want to hear anything about is the fact that sometimes some of the families that experience these losses are generally speaking invisible to most people on a day-to-day basis. So they may need more support than others. 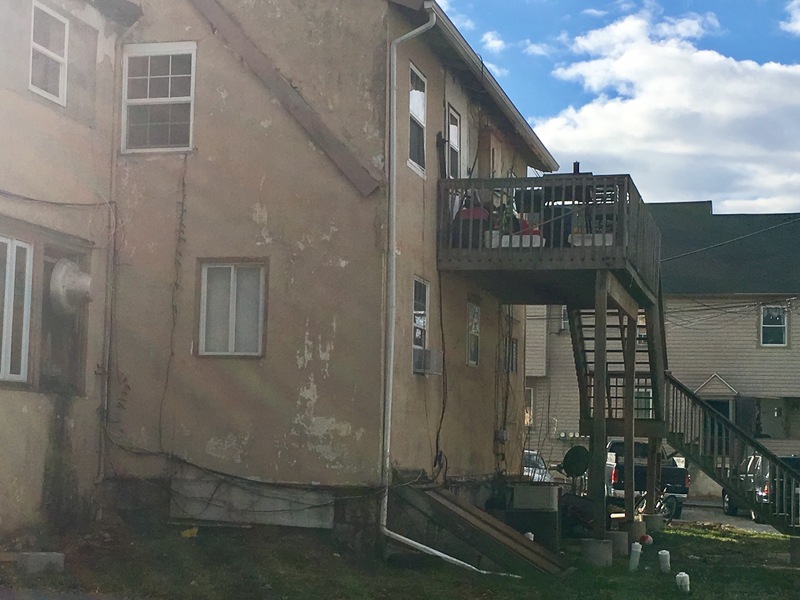 The people that live in the slightly ramshackle community along route 30 starting just on the other side of the Wawa aren’t living there because they have any other choice. It’s what they can afford, and in fact it’s probably the only actual “affordable housing” supply right there in East Whiteland. And every time some developer goes in front of the local municipality talking about how if you let them build X number of hundreds of houses and they will give you a couple affordable housing units, demand that they define “affordable.” Because I don’t think this family that lived next-door to the Wawa is the kind of family you’re going to see renting a $2000 a month one bedroom condo apartment do you? People talk about referring people over to the William Henry apartments on King. All I ever read about are horror stories of tenants who live in those apartments. And are they really affordable to all? Every community has a small segment of residents who are literally invisible to the majority of other residents. And it takes a tragedy like a total house fire for people to get it. These people aren’t invisible and where they live is not invisible either. But it behooves us as a community when we can come together to help our neighbors. 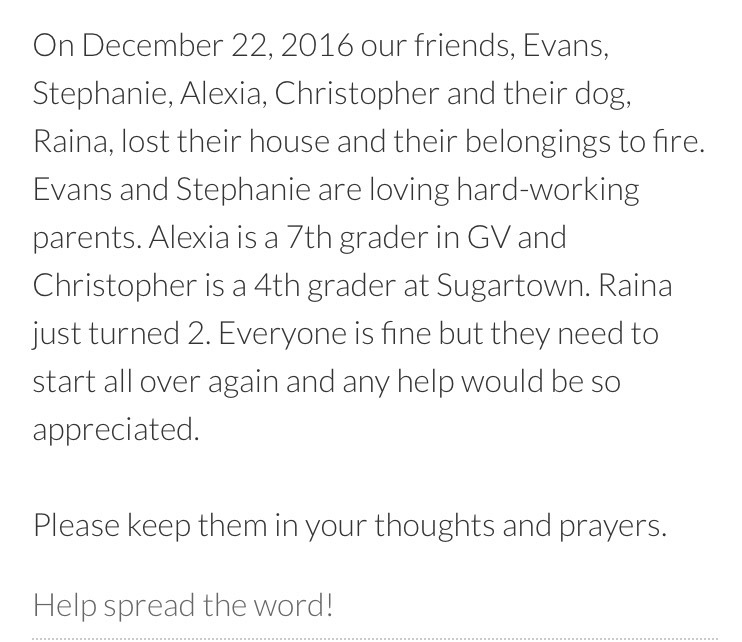 This family of three who lost their home and all their belongings in the Christmas fire need a new place to live. The two sons are in the Great Valley School District. If you can pay it forward for this family please do. They don’t just need donations they need a place to live. Laughter and echoes of voices linger around corners. The stillness of night . 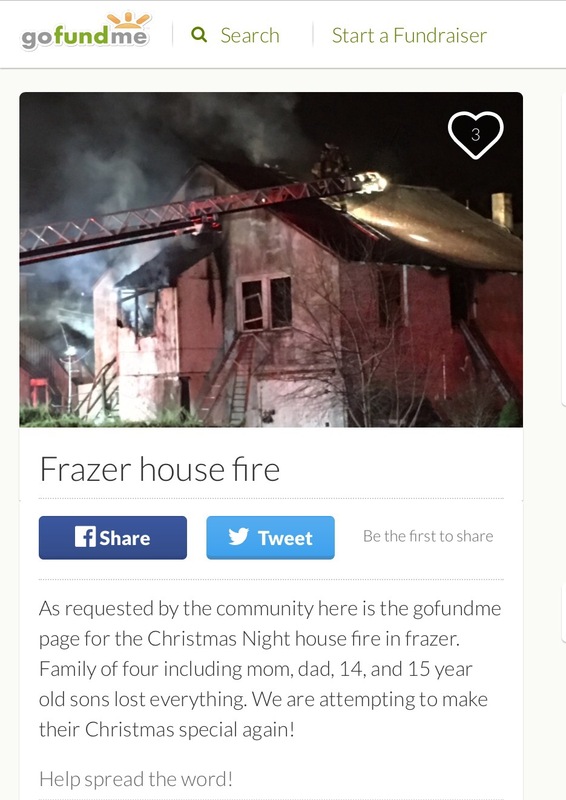 Tragically, yet another local Chester County family has lost everything, literally everything in an overnight Christmas fire. The person who has started the GOFundMe is also collecting clothing in the short term to help these folks – they were not home when the fire started but all that is left for them are the clothes on their backs. This was a horrible fire and a lot of folks lent a hand to East Whiteland Fire Company. You can read and see photos of the fire here. 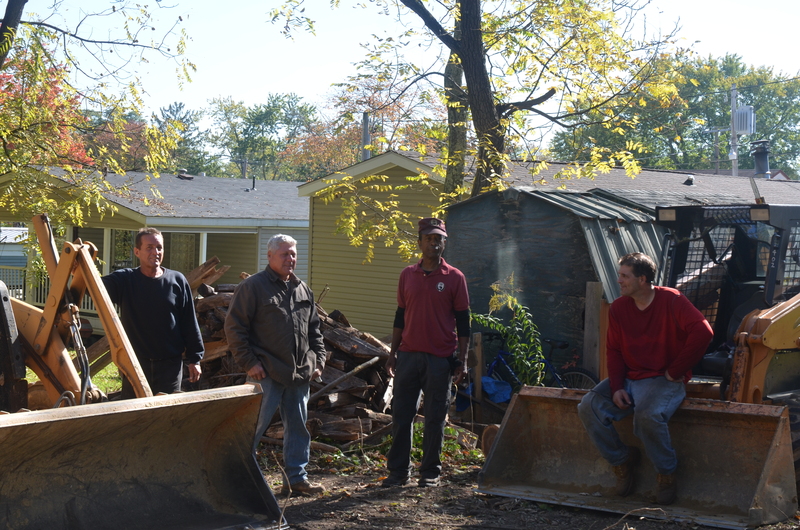 Merry Christmas Chester County and thank you to those who can help these folks! I said no, and look what she did yesterday? Isn’t that awesome? I also thought I should mention we did have a licensed structural engineer have an initial look at the church ruin. No it was not paid for by the A.M.E. Church, but they do have the report. There are certain steps that need to be taken to stabilize the ruin, but they need to give permission before anything happens. They have had the report for weeks I am told, but have not responded to further contact by anyone which is disappointing. Sadly, I find the ignoring caring people sadly predictable behavior. It seems to be what they do and not just in the case of Ebenezer. But the church has never disavowed ownership of Ebenezer (well they can’t an be telling the truth can they?) and as per what I have been told that they actually do bear responsibility here no matter what. 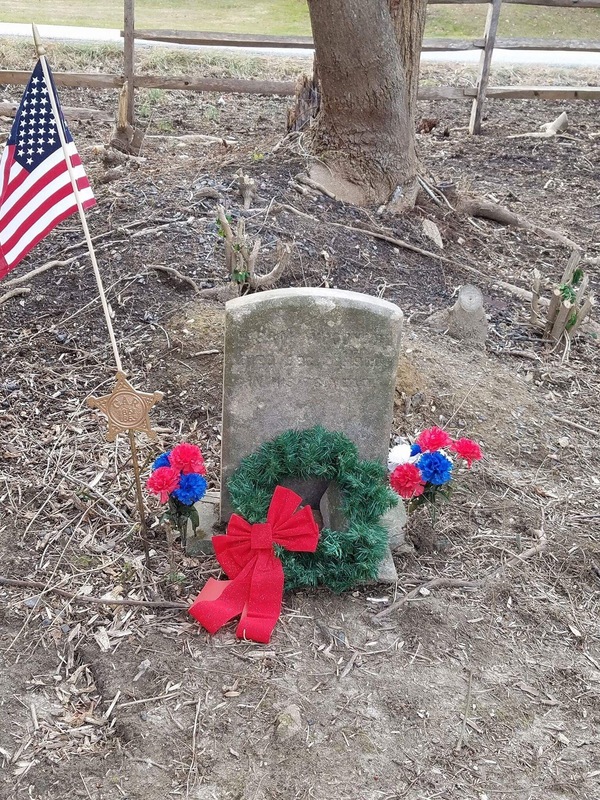 We now have volunteers who care and if we keep up a schedule we can keep the graves cleaned up. We are hoping to get someone to use the equipment like was used at Duffy’s Cut to comprehensively map out the graveyard. It is Christmas Eve and time for all of us to be with loved ones. Remember the old souls at Ebenezer A.M.E. in your prayers and thoughts. Stay dry on this very rainy Christmas Eve and thanks for stopping by! 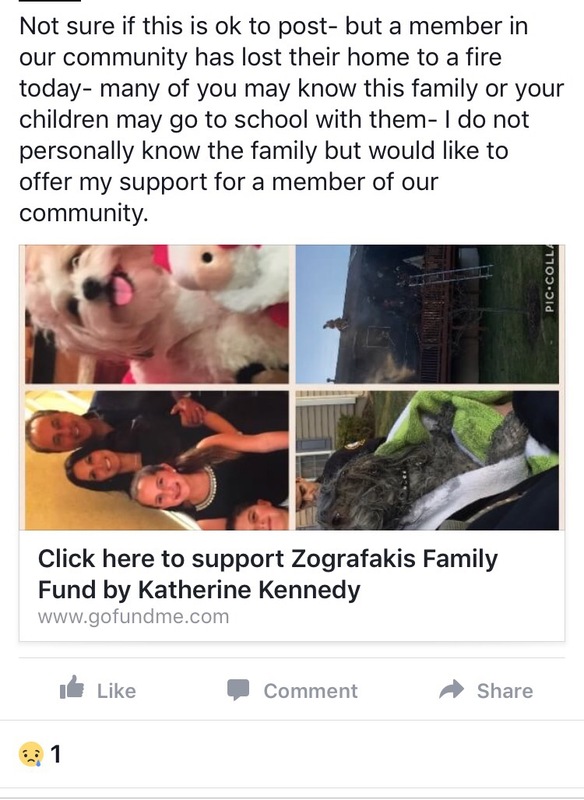 It’s Christmas- let us show this family the true meaning and help – I do not know them- it doesn’t matter because this could happen to any of us – saw this on Malvern Community Forum and decided to share. Again, this could be any of us so please pay it forward. And The Daily Local wrote about this so people know this is real. POSTED: Thursday, Dec. 22, 2016 – 5:16 p.m.
WILLISTOWN TOWNSHIP >> Goshen firefighters rescued a dog from a house fire on Ridings Way in the Hunters Run development of Williston Township Thursday. Nobody was injured in the fire, which seriously damaged the home. First arriving police reported fire from the raised deck and rear of the home. Goshen Fire Chief Grant Everhart said the fire went to two alarms. Hey Happy holidays! I’m asking you this because you might know – the small white vans being used during Christmas for deliveries, do you know if they are usps or a FedEx or ups or Amazon delivery person? I ask because today I saw a delivery person driving one of these actually put an Amazon package in the storm SEWER. So I am trying to figure out what agency to contact this to report it. SMH. So I messaged her back how crazy that was and that Amazon is introducing dedicated drivers in small white vans in the area. 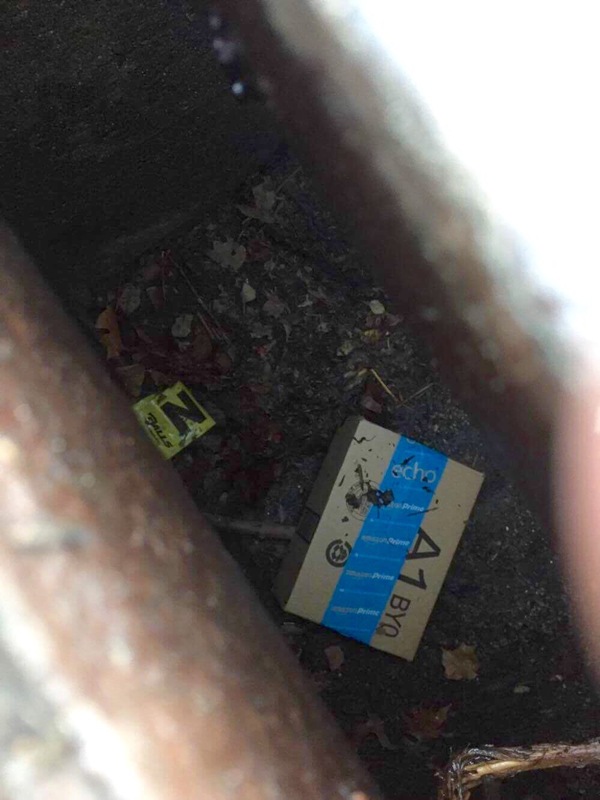 How crazy must it have been to see a delivery person chuck a package like that? She couldn’t figure out where the package was going because it was face down. Her local police department went out to the location this morning and the package was gone. 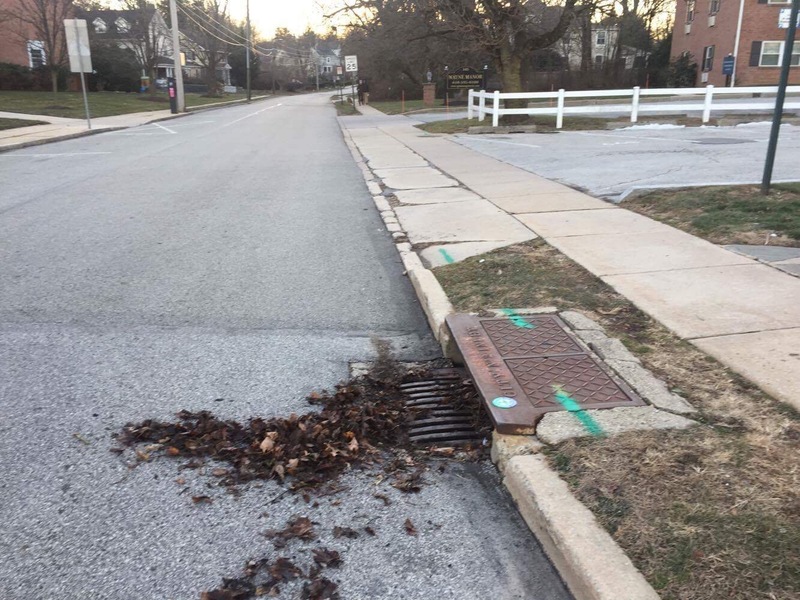 It’s pretty deep to fish out from this storm sewer, so we’re at a loss as to how the package moved – either someone came along with something to fish it out or there was inexplicable water that washed it out of view. But somebody somewhere is missing a package a few days before Christmas. I hope it was not a present for a child. I am a big Amazon fan but I will admit I have had problems with some of their delivery people since they started adding dedicated delivery. I have had things just not get delivered or delivered late. It’s a relatively new service in this area with dedicated drivers, so obviously they have some kinks to work out. Here is hoping Amazon can figure this out. 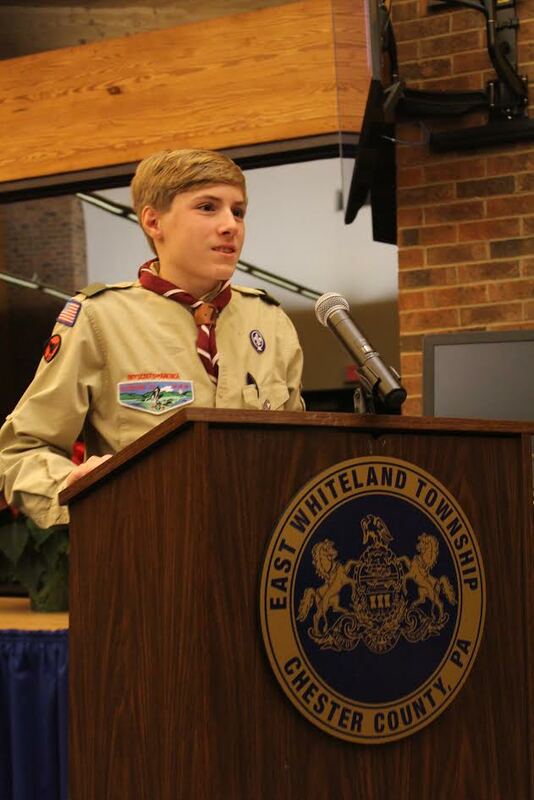 eagle scout luke phayre honored at east whiteland for his ebenezer project! 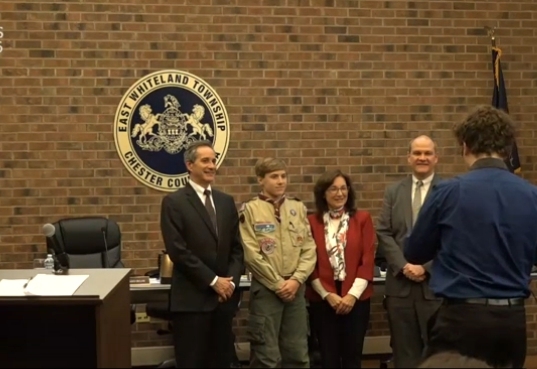 See 26.37 of the recent East Whiteland Meeting for Eagle Scout Luke Phayre being honored and deservedly so by East Whiteland Township. 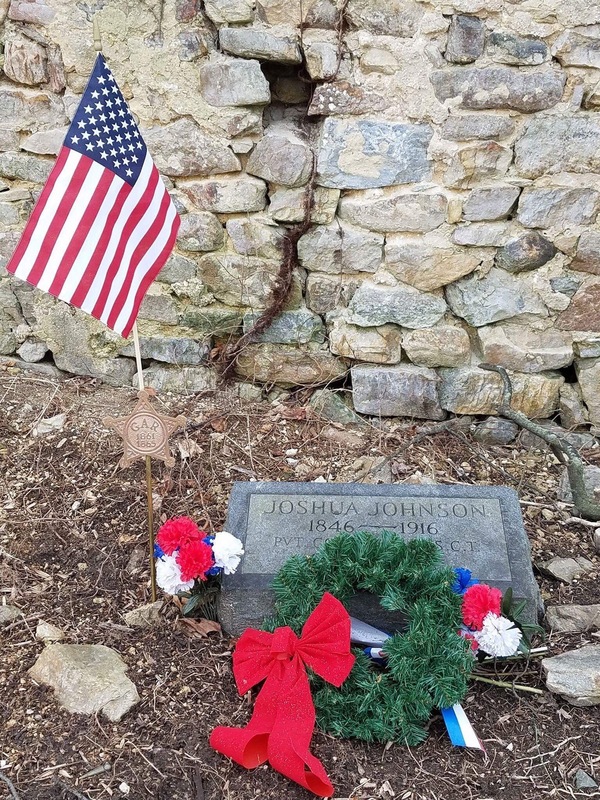 I noted in East Whiteland Supervisor Bill Holmes’ comments that he (like many others) do not know that Ebenezer is actually184 years old (deed of trust for land is 1832) – and yes this is a black historic cemetery solely. This is in my opinion and that of many others a very important piece of black history. 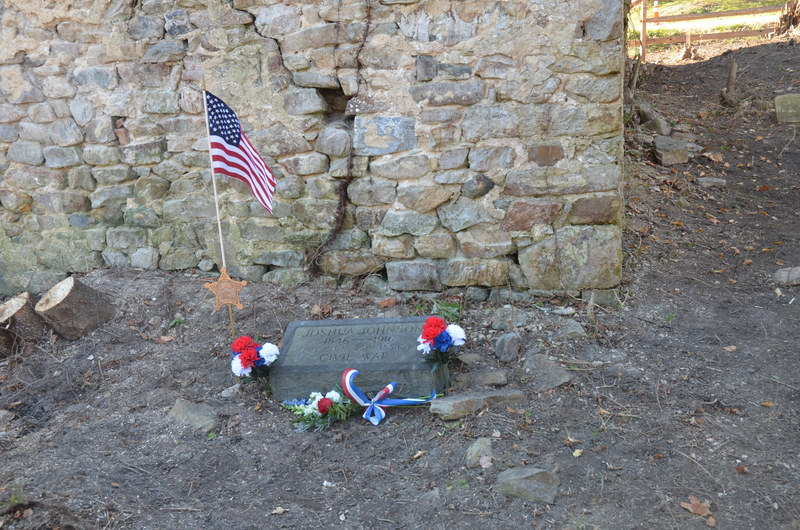 This history of ours in Chester County has people laid to rest there whose relatives still live in the area today. 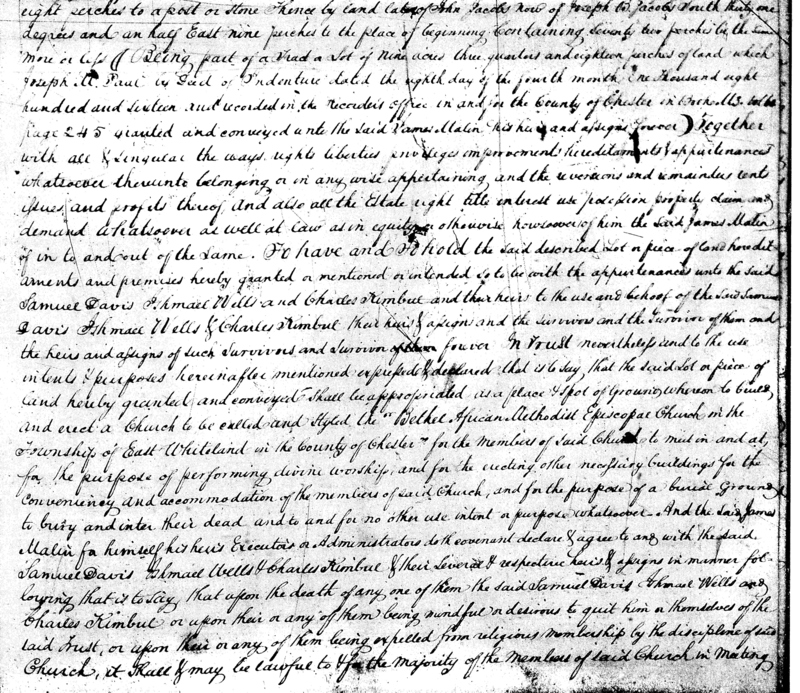 The AME Church grew out of the Free African Society in the late 1700s, but the church became it’s own entity founded in Philadelphia around 1816. 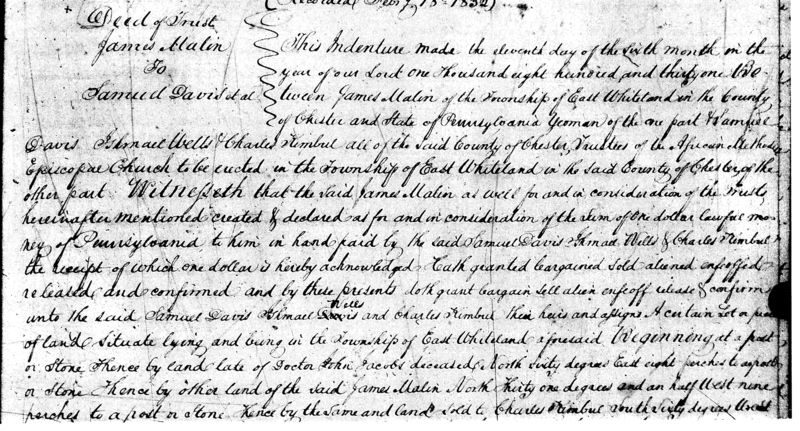 So you can see given the age of Ebenezer AME in East Whiteland, Chester County, PA that it is truly part of the early days of a church and religion founded in Philadelphia. 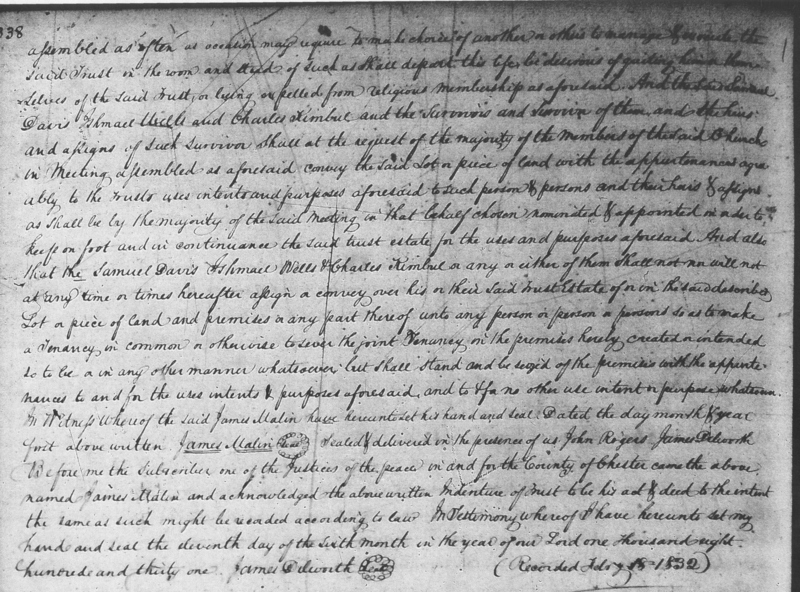 Bishop Richard Allen died in 1831, just months before Ebenezer came to be after Joseph Malin deeded the land. Ebenezer is cleaned up thanks to Willistown Eagle Scout Luke Phayre (and his fellow scouts) , Al Terrell and the many volunteers including local arborist Robert Phipps, Doug Buettner , Kelbey Hershey and all the volunteers from West Chester University (veteran’s group and fraternity brothers from at least two fraternities – FiJi was one of them), Captain Howard Crawford and the American Legion folks, Charae Landscape Services, Tim Caban from East Whiteland Historic Commission, and many, many more. It has literally been a pretty large village of amazing volunteers the past few months. I apologize if I neglected mentioning anyone – would never wish to offend the wonderful volunteers who have come forward in 2016. Luke Phayre has done a truly amazing job with his Easgle Scout project. He is an amazing young man. He is so bright and very polite, and dedicated with an amazing work ethic. And he has leadership skills and compassion which will take this boy far in life – such a credit to his equally amazing mom Kathy! This has been a labor of love for me personally because until Al and Kathy and Luke came along after I had placed the first article in the Philadelphia Inquirer, up to that point no one, not even the AME Church was interested in the history and importance of the site. For years. And before me, the late Ann Christie had tried to get the place cleaned up. People get upset for me that East Whiteland doesn’t acknowledge me for helping raise awareness, but seriously? Don’t sweat it. Local elected officials view as something like poison ivy half of the time and I am o.k. with that 🙂 I do not do what I do for any other reason than it is the right thing. As soon as I first realized what Ebenezer was in 2013, I knew I had to raise awareness. 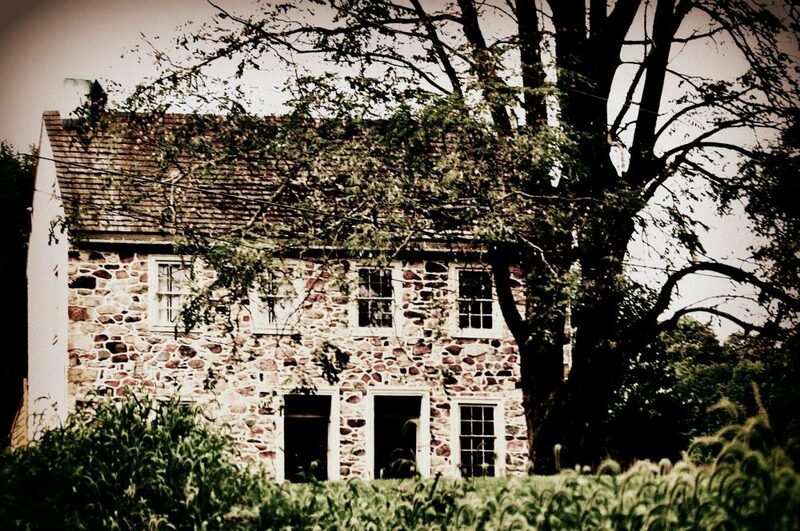 And I will continue to do so because I want this piece of serenity and history preserved for future generations. 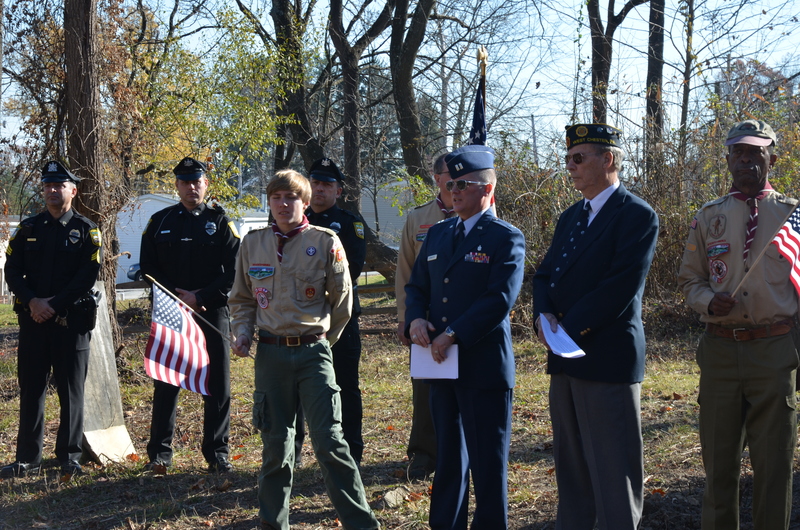 My reward is seeing Luke Phayre and the Scouts recognized, and seeing what a community can do when it comes together. To see Ebenezer rise like a Phoenix from the ashes at 97 Bacton Hill Road and to have people from all over recognize how historically important Ebenezer and her departed souls are is the best thing ever! Thanks also must go to Kristin Holmes of the Philadelphia Inquirer for two beautiful articles and to The Daily Local editor Tom Murray for a very nice front page story written by reporter Adam Farence who has followed the story of Ebenezer. Without our local and regional media it is hard to draw attention to things like this which matter. We all get by from a lot of help from our friends. Now we are waiting on the AME Church’s Bishop Ingram to make good on his promise to visit the site. 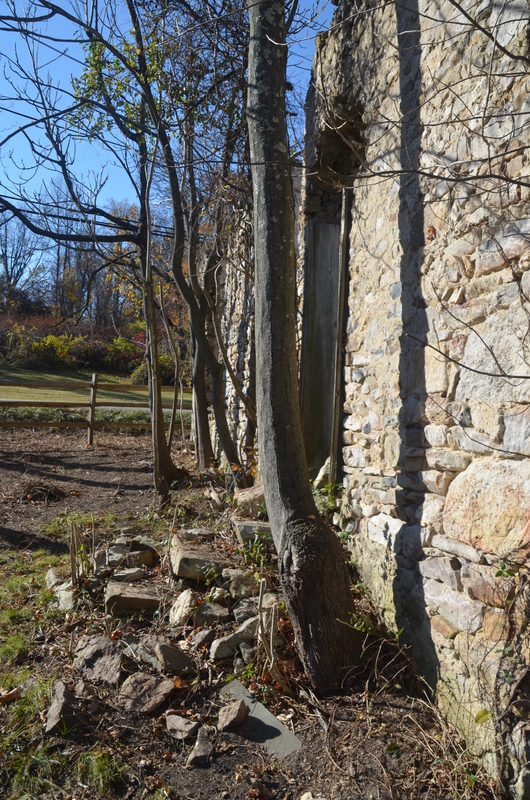 We want to get permission to shore up the long walls of the church and keep on maintaining it. I sincerely hope the AME Church actually helps us to keep this project moving forward. That is a Christmas wish I have.